In 2017, ShareChat got the coveted badge of being the first and only Indian Social Network to reach 10 million downloads. One of the things that define ShareChat and is perhaps one of the most important attributes that make it so popular is the way it has become the go-to app for the vernacular Indian internet user to express his views or interact with others who may hold a similar or different view-point. 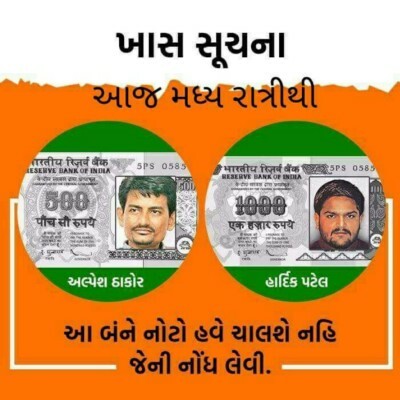 Without any promotional campaigns by political parties, the likes of which are common on other Social Media networks, the voices emerging from ShareChat are the unhindered & unheard voices of the common man. On ShareChat one can create a post or like, share & comment on posts to put forth one’s point or express solidarity to another. There are not many things which generate as much interest and long-unending discussions as politics, with the participation of someone as young as 18 years, to someone well above his 60’s. It is discussed and debated upon in almost every nook & corner of the country, with TV and Social media replacing the conventional practices. 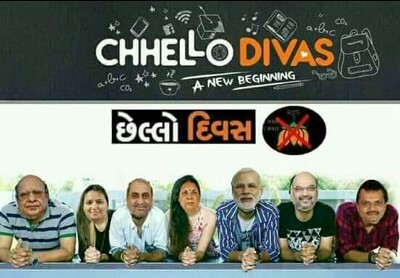 With the Gujarat Elections going on, the discussions on ShareChat seemed more lively than ever. As can be seen from the above graphs, while the Like/Share ratio of both parties stands at around 30%, the erstwhile-ruling party has an edge in the gross support that it receives across the spectrum. As can be seen from the above graph, while the BJP had its fair share of both criticism and support, the Congress received much more negative posts, which criticized it. To view the latest or the most trending posts, people opened the BJP tag 166525 times, the Congress 111215 times. 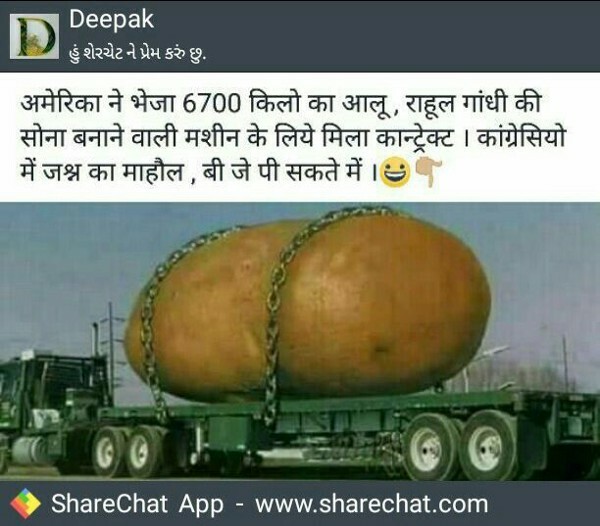 The tags of the top two leaders of BJP and Congress, vis a vis Narendra Modi and Rahul Gandhi, were opened 77112 & 29220 times respectively. This helps us to gauge a general interest of the public in the parties and their leaders. To monitor the popularity of each party and how it is changing with each passing day, we created a Popularity Index based on the Likes, Shares and Comments on the posts of the parties on that particular day. The following graph shows the popularity of different parties with time on ShareChat. The above graph quite clearly reflects the fact that while the popularity of the BJP was consistently above the Congress for most parts of the elections, the popularity difference between the BJP and Congress peaked on the election days, i.e on 9th and 14th December. The discussions, popularity and interests of the people peaked around the election day, where a local maxima can be clearly observed. The on-ground campaigning ends 2 days before the election day, but digitally the election dates are the one during which there is maximum buzz. We at ShareChat also launched an awareness campaign for people to vote without greed or influence of drugs and fear. The campaign titled ManSeMatdan has become an in-house awareness trend which we run before every election. 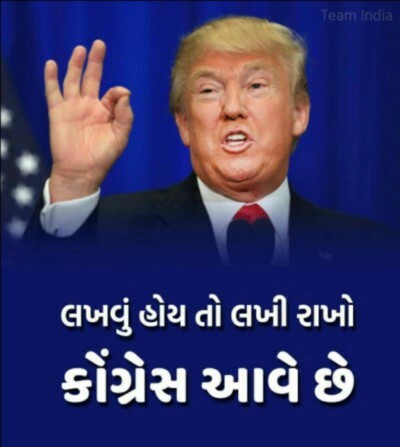 For this purpose, we created #મનથી મતદાન, in which users spread awareness around free and fair elections, as well as the importance of making your voice heard by voting on the election day. 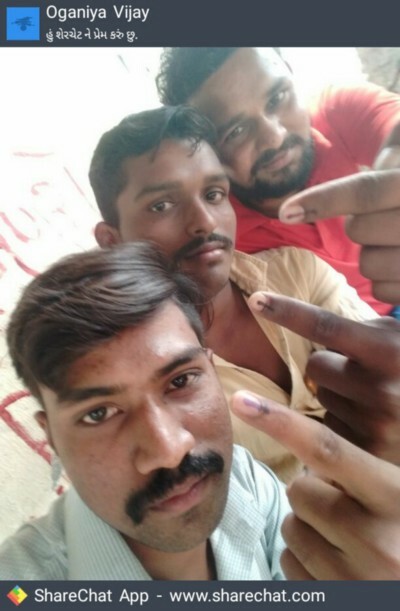 Users also shared their selfie with the ink after voting. 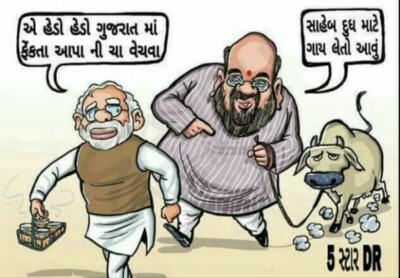 The content posted by users, were diverse in nature ranging from audios, videos, texts, jokes which subtly hinted on support for a party, while denigrating the leader of the other one, memes, trolls and historical characters overlapped with the current leaders. Apart from this there was the usual mix of political songs and videos, which due to their hummability find support in vernacular Indian audiences. The following image gives a glimpse of the content trending in ShareChat.